The Association formally established on March 23rd 1898, following the resignation, “en Masse” of the members of the 6 companies of Queensland Irish volunteers in the Queensland Land Defence Force. Ex-members of the volunteers combined with the H.A.C.B.S. to found the new Association and the inaugural secretary was Major P.J.Stephens, former commandant of the Irish volunteers. Although there is no direct relationship the Association can be regarded as a descendant of the Queensland Hibernian Association which was founded in 1871 and the principles of the earlier Association are embodied in the the constitution of the Queensland Irish Association. The Queensland Irish Association is the longest continuously operating national association in Queensland although its formation is pre-dated by that of the German club. Growth has been steady although major setbacks were experienced with financial problems and declining membership during the World War and the depression. Association policy has always been to support other organisations with Irish heritage or aspirations but also to be a strong supporter of co-operation with all national and ethnic associations. The Queensland Irish Association began after Irish volunteers in Queensland had taken a stand against what they saw as unjust Government interference in their activity in replacing the Irish commandant Andrew Joseph Thynne, a member of the legislative assembly , with Lt Col K.J Hutchinson. The volunteers resigned enmasse when captain and adjutant P.J Stephens protested the appointment. At a subsequent dinner for Stephens, the idea of an association of the Irishman was suggested. It became a reality in 1898. Originally membership was open to Irish-born males or their descendants. Women were admitted as associate members in the 1960’s and as full national members in 1986. It now has almost 4,000 members who can enjoy the Associations facilities in its Elizabeth Street headquarters, Tara House (a national heritage building) into which the Association moved in 1920. One of the most admired old buildings in Brisbane, it is noted for its magnificent ballroom added to the existing building and opened in 1928. Tara House has been renovated over the years and was extended in the adjoining premises in 1993. Fostering interest in Irish culture has always been important to the Queensland Irish Association. A library and reading room was set up in 1904 and debating was a lively activity right up to the 1960’s. The library was re-opened with modern technology and amenities in 1997 by the Irish ambassador to Australia, Mr Richard O’Brien, and the Association is now on the internet. A thriving cultural program centered on its library, pipe band, dancers, tara singers and theater and drama club has been re-activated in recent years. The QIA’s many activities for members include bowls, golf, bridge, The Rose of Tralee quest. Its annual dinners on St. Patrick’s Day and St. Brigid’s Day are the most sought after tickets in the social calendar. The Association has been visited by Irish presidents (including Eamon de Valera and Mary Robinson) and its Ambassadors. Its members have included judges, politicians, lawyers and members from a variety of professions such as writers and musicians. We are proud the Mary McAleese, President of Ireland, did not hesitate when invited to come to Brisbane for our centenary celebrations. It is a token of the esteem in which the Association is held, not just in Queensland and Australia, but also in Ireland. The QIA is not currently recruiting at this stage. The Irish Radio Program on 4EB – for all the best in Irish music, news, chat and info from the Irish Australia community. For more than 30 years the Irish Community Radio Program has been broadcasting from the studios of 4EBFM 98.1, Brisbane’s only fulltime ethnic broadcaster. 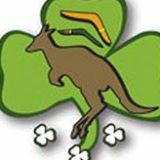 You can listen to the best in Irish music and all the latest news and events from Ireland and Irish Australia. The program runs for 1 hour and all programs are produced and presented by volunteers. New members and presenters are most welcome. The Queensland Irish Association Pipe Band has existed under different names and associations since before the turn of the twentieth century making it one of the oldest bands in Queensland and the oldest Irish pipe band in Australia. The Queensland Irish Association was formally established on March 23rd 1898, following the resignation, “en Masse”, of the members of the 6 companies of Queensland Irish volunteers in the Queensland Land Defence Force. Ex-members of the volunteers combined with the H.A.C.B.S. to found the new Association and the inaugural secretary was Major P.J. Stephens, former commandant of the Irish volunteers. Although there is no direct relationship the Association can be regarded as a descendant of the Queensland Hibernian Association which was founded in 1871, and the principles of the earlier Association are embodied in the Constitution of the Queensland Irish Association. Over the years the Queensland Irish Association Pipe Band has at times had two or three bands at the same time, including for a period in the 1980’s two grade 1 bands. The bands have won the Australian Championships in grade 3 in 1963 and 1970 and grade 1 in 1976, 1980 and 1986. In addition the band has won New South Wales, east coast, and National Championships as well as Queensland Championships in grades 1, 2 and 3 too many times to list here. Internationally the band has competed successfully with wins in grade 1 in New Zealand and results as high as 2nd in Scotland and Ireland, wins in grades 2 in Scotland, Ireland and New Zealand and wins in grade 4 in Scotland. Major international results include World Champion Overseas Band 1978, 1981 & 1985 grade 2 and 1985 grade 4, 2nd 1978 South East Ireland Championships grade 1, 2nd 1978 European Championships grade 2, 3rd 1981 Cowal Games grade 2, 3rd 1981 Cowal Games Drum Corps grade 2, 6th 1981 World Championships grade 2, 3rd 1981 World Championships Drum Corps grade 2, 2nd 1981 Scottish Champion of Champions grade 2, 1st 1985 Cowal Games grade 2, 2nd 1985 British Championships grade 2, 5th 1985 World Championships grade 4, 4th 1985 British Championships, and Cowal Games grade 4 3rd 1985 World Championships grade 2, 1st 1988 & 1990 New Zealand Drum Corps Champions grade 1, and 1st 1988 New Zealand Champions grade 2. The band has performed at international venues such as Feqstivale de Celtiquie de Lorient in France in 1985, 1999, 2006 and 2008; the Rose of Tralee Festival in Ireland 1998 and 2008, competitions in Scotland and Ireland including the World Championships in 1978, 1981 and 1985, New Zealand in 1988 and 1990 and France in 2006 and 2008. The Tara Singers, the official choir of the Queensland Irish Association, was formed to perform at official functions and cultural events within the Association and in the community. In addition to a regular concert series each year at Tara House, home of the Queensland Irish Association in Brisbane, Tara Singers have shared performances with other Brisbane choirs, including a three choir festival at Tara House, and have taken part in community festivals in Glen Innes, the Bungawarra Wine Festival, the Kalbar Heritage Festival and the Killarney Irish Festival. The choir has sung in Christmas programs at Brisbane City Hall and the Queensland Performing Arts Centre Concert Hall, has entertained at Brisbane City Mall during Irish Week, at the historic Ormiston House beside Moreton Bay, and performed at functions to welcome the President of Ireland, Mary McAleese, and for the Irish Ambassador to Australia. Tara Singers were joined by Brisbane actor Eugene Gilfedder and the Brisbane Philharmonic Orchestra to present a Celtic Twilight Supper for the 2002 4MBS Festival of Classics, at Tara House. The Tara Singers were founded by Ms Patricia Kelly in 1995 and gave numerous concerts and performances under her baton until her retirement at the end of 2009. Ms Rosanna Napur took over as choral director until the end of 2011, and Patricia Kelly came back as guest choral director for the first half of 2012, with guest accompanist Carmel Dwan. Patricia Devereaux, our accompanist of many years, retired in 2010. Mr David O’Keeffe BMus BEd GradDipMus will conduct The Tara Singers, accompanied by Mr Tim Li on piano, from July 2012 opening with his first Concert “Spring Time in Song” on Sunday 16th September. In the last twelve months the Tara Singers presented 4 Concerts in the QIA – “Springtime in Song” jointly with Celtic Connection in September, “Christmas Melodies” in December, St Patrick’s concert in March and concluding the year in June with “Music of the Isles” jointly with the British and Irish Lions and with the QIA Pipe Band. We also marched in the St Patrick’s Day March and presented three street singing gigs and two full choir performances for Christmas in the Mall. Our next twelve months has performances scheduled for August 2013 at Manly, and in September alone we have three – one jointly with Brisbane Concert Orchestra at Broncos on the 7th, then “Sing Me a Rainbow” at the QIA on the 22nd, and thirdly a joint Concert with the Queensland Korean Orchestra and the Celtic Connection at City Hall on the 28th. Plus of course our Christmas Concert in December. Our 2014 concerts are yet to be scheduled but we expect to produce at least three at QIA and at least two outside concerts. There is also St Patrick’s week and Christmas in the Mall. Joint concerts have been very successful and we will be aiming to arrange more of these, as well as a tour. We plan a strenuous drive to increase choir numbers and want to revitalise the social aspect of the choir. We would also like to look to perhaps a broader range of music (without of course wandering away from our Irish core). Choir rehearsals continue at the QIA every Monday night from 7 till 9, and new singers are always welcome. Call the QIA on 3221 5999. In the late 1960′s the hotels, boarding houses and flats in Spring Hill were full of young Irishman who were excavating and laying pipes as part of Lord Mayor Clem Jones’ plan to sewer Brisbane. During these times, hotels were not allowed to open on Sundays and popular publican, the late John Mahon from Leitrim and the late Seamus O’Kane from Co. Cork often talked about having games of hurling and football on Sundays. The word passed around and a meeting was called at John Mahon’s Acadia Hotel. At that first meeting there was no election of Committee as such, John Mahon was made President, Seamus O’Kane started to write down the names and take a few notes, so he was told that he was Secretary and when Michael O’Connor agreed to handle the money, he was announced the Treasurer. Games were played where possible and they were great sporting days. Our first “home” was at the Nudgee Orphanage fields and later games were held at Iona College. There was never any shortage of players either. Perhaps a big incentive was the keg of beer that John Mahon always tapped on after the games! Nobody talked about affiliating with the Gaelic Athletic Association (G.A.A) down South during these times. People were just enjoying getting together for two games of football on Sundays. By 1973 many of these young players had followed work and moved elsewhere and thus the casual Sunday friendlies ceased. But not for long! New people came along and the Queensland State branch of the G.A.A. was formed and affiliated with the National body in 1975. This year also saw Queensland send its first ever team to the Australasian Games. In 1982 the land that is now “Gaelic Park” at Willawong was secured with the Brisbane City Council and it became the headquarters of Gaelic games in Brisbane. At this stage things were still quite informal, with two teams being picked from the assembled group. However in 1983 it was decided that four clubs should be formed to stimulate competition and spirit. This was done on a geographical basis with clubs representing the North, South, East and West. Souths won the first ever Qld Championship in 1983 and went on to win 6 out of the first 10 Championships. Wests (now Shamrocks) won in the 2nd and 3rd years whilst Norths (sadly no longer in existence) won in 1986. Sarsfields joint the competition in 1986 and a surplus of players from this club led to the formation of John Mitchels the following year. Sarsfields scored their first Championship in 1991 whilst John Mitchels took out titles in 1993, 1997, 1998 & 2002. A sixth club “Harps” entered the competition in 1995 and were quickly successful in 1996. Easts, one of the earliest clubs to be formed, finally scored their first championship in 1999 and had a very successful 2004 taking out both the senior and reserves championships in the same year, which had only ever been done once prior by John Mitchels in 2002. 1996 saw the introduction of the men’s reserve grade that brought an influx of new young players. The reserve grade provides a useful avenue for introducing new players to the game to allow them to find their skills, as well as being a good place to allow some of the old faithfuls to wind down at a slightly lesser pace. Women stepped up and a competition was formed for them in 1997. From modest beginnings, the ladies have made great strides and the Women’s competition is now the fastest growing sector of the sport in Brisbane, as well as throughout most of Australia. Gaelic seems to lend itself well to a large group of women. The rules are slightly modified, omitting the contact element of the game, and provides a fast, fun and skilful opportunity for women to experience football safely. The development of “Gaelic Park” steadily progressed throughout the eighties and was funded by the local Irish community and built entirely by volunteers. The dressing sheds were built in 1984 with work on the clubhouse commencing in 1989 and completed in 1990 to coincide with that year’s Australasian Championships hosted in Brisbane. 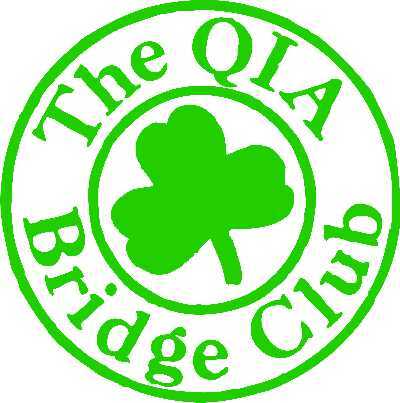 The QIA Social Bridge Club, after a small beginning in May 1997, now has three supervised bridge sessions a week held on Monday, Wednesday and Thursday from 10.00am–1.00pm. Beginners, intermediate and advanced players are welcome and are requested to be there by 9.45am. Partners can be arranged and beginners lessons and regular workshops are offered. All bridge club players are welcome to use the facilities provided by the Irish Club for a pleasant lunch with friends after play. Tony became Queensland’s first grand master in 1972 (it was then the highest rank). He is now one of three gold grand masters at the top of our state’s list. Some of Tony’s career highlights are:- Australian and (multiple) Queensland caps, several as captain. He has won 50 national and state championships and was winner of the South of Ireland Pairs Championship on both of his visits to the Killarney Bridge Congress. Tony was vice president of the Queensland Bridge Association for over 20 years and on his retirement was made a life member. You can follow Tony’s bi-weekly bridge column on Wednesday and Saturday in the Courier Mail. Claire is a grand master and played in the winning seniors team at the Australian National Championships. Coincidently this team was captained by Tony Jackman. Claire has also been in the winning State Titles Seniors Teams on three occasions. Claire takes great pleasure in helping players to improve their game.